March 13th, 2019 - Does My Bomb Look Big In This? 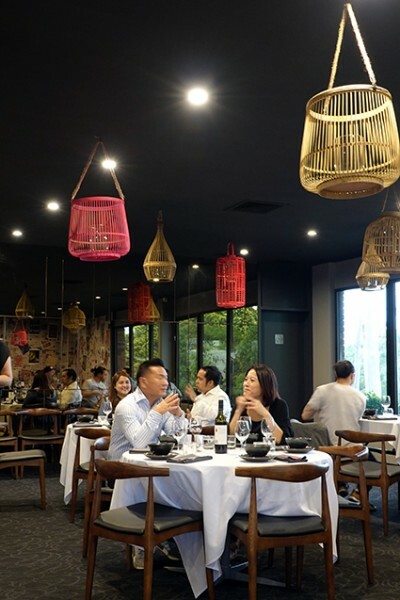 With his childhood spent in Dural, in Sydney’s outer reaches, Chan is talking about Aussie Cantonese, the kind you’d get in your local suburban Chinese restaurant. 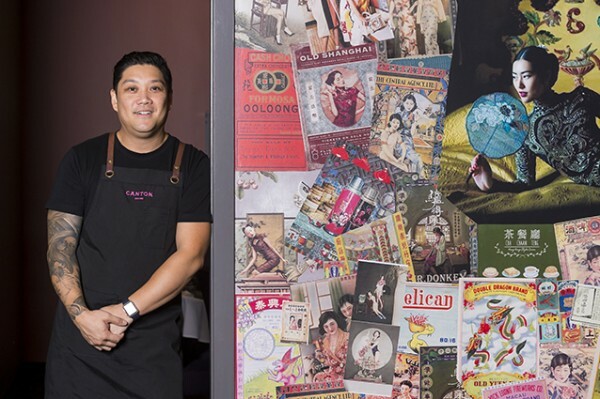 At his first solo venture, Canton Kitchen, Chan explains he’s using “what I call Cantonese food here and not reinventing the wheel but adding my own traditional flavours and modern techniques that I have learnt over the years of travelling and work,” to make his food stand out from your local. 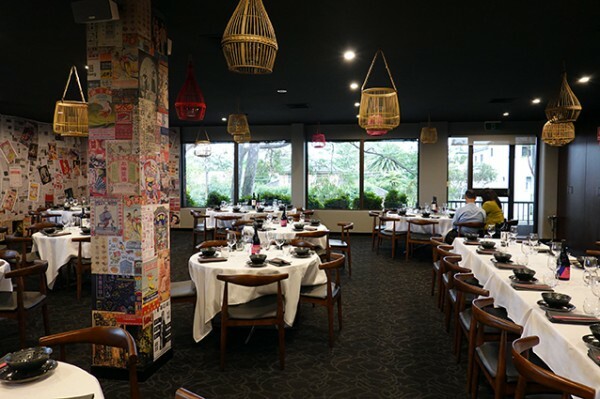 Chan has taken over the short-lived Holy Duck outpost in Castlecrag’s Quadrangle Shopping Village. 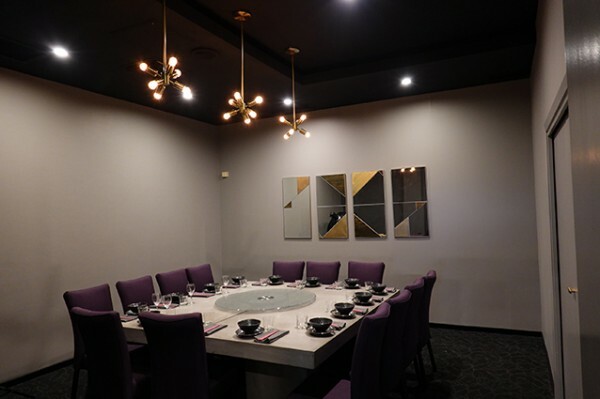 Unlike the former occupant, Chan has made considerable effort to inject the dated, large dining space with some contemporary flair. Darkening the ceiling was a very good start, creating a backdrop for a more moderate amount of dangling basket lights in natural and hot pink. 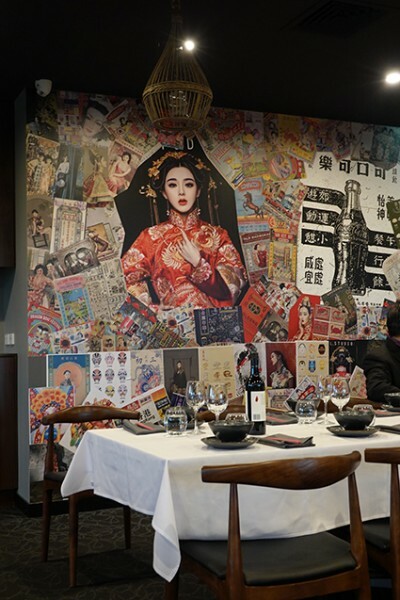 The mirrored walls have been given over to paste-ups featuring more contemporary versions of 1930s Shanghai poster girls. 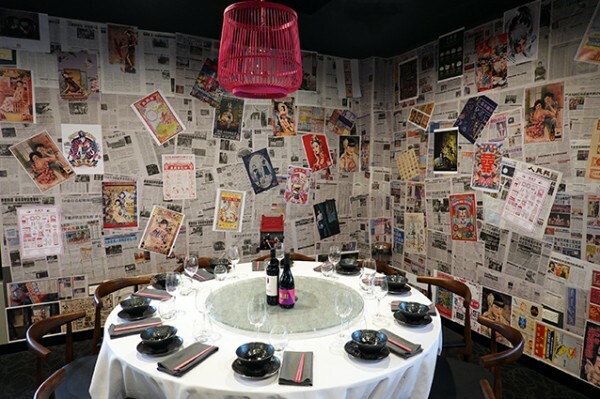 We take it all in over large baskets of Steamed Dim Sum ($28). 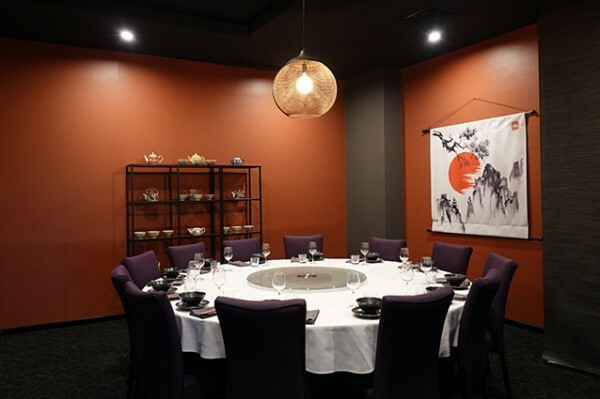 With nostalgic memories of fighting with my own family in our local suburban Chinese, I take a fast swooping chopstick dive for the truffle-topped mushroom dumpling. 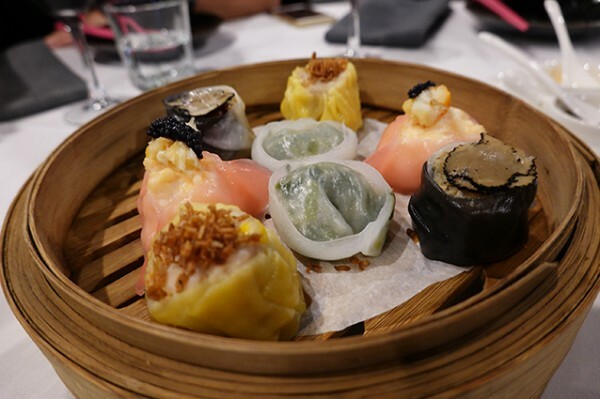 It’s worth fighting over, as are the pork shumai. 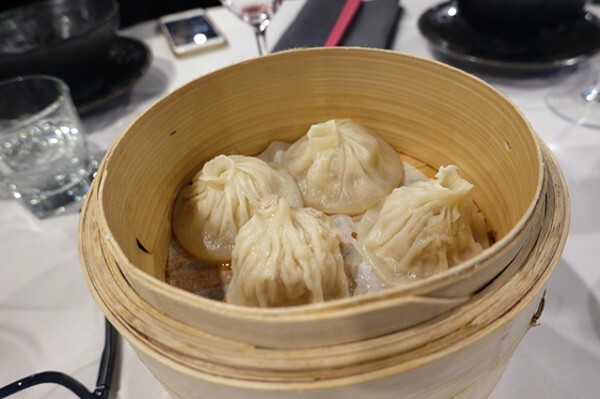 Soup filled dumplings – xiao long bao – are another favourite, though they’re so thin they need to be eaten quickly before they stick to the paper lining. 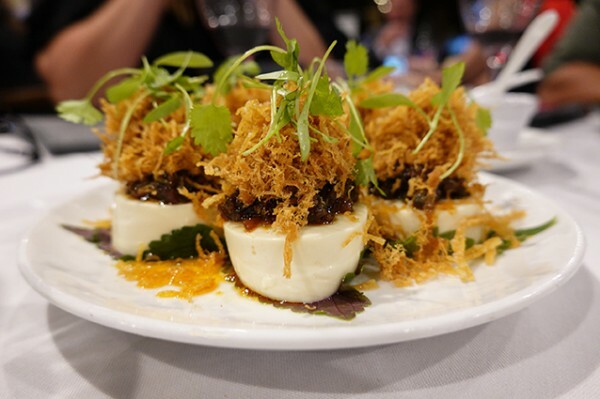 Under brown hairy mops of soy bean floss, wobbly rounds of Silken Tofu ($14) are spiced up with a vegetarian XO sauce. 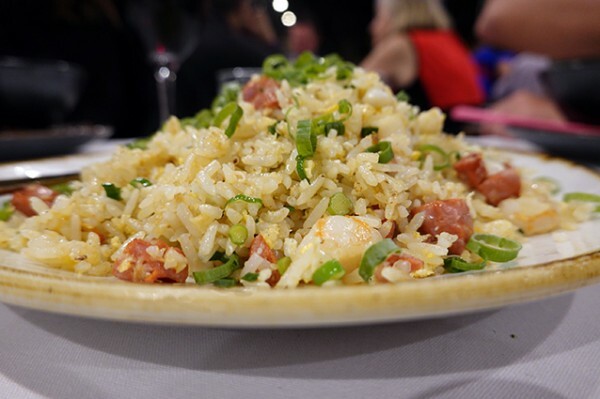 Even my meat-focused dining companion had to admit there wasn’t a terrible loss in switching out the usual dried scallops, squid, shrimp and Jinhua ham. 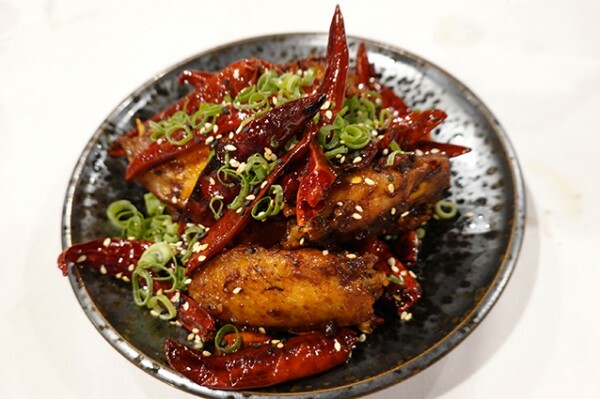 Hot & Numbing Chicken Wings ($15) are a crowd pleaser, though some of my table were prompted to eat the dried chillies to imbue them with some more heat. 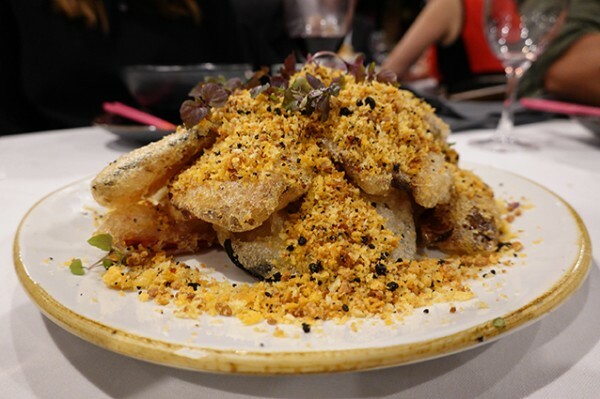 Drawn from the main sharing dishes, Typhoon Shelter Style Tempura Vegetables ($24), eats more like a group-friendly salty savoury drinking snack than a dish you'd want to share as a couple. 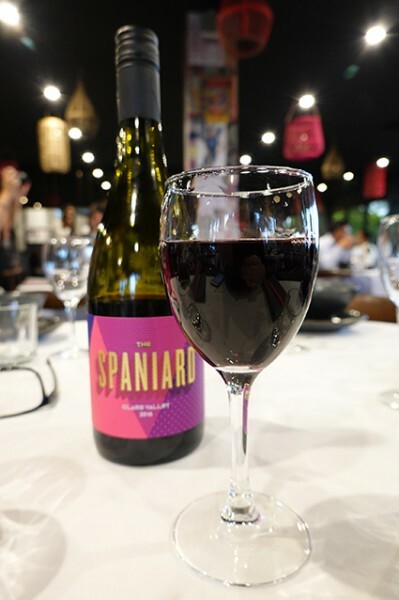 While the fluffy salty dust has us all necking our wine, it’s compelling in an old school, MSG-laden Aussie Chinese kind of way. Messing with our nostalgia is a fraught business. The chef has to understand what people liked about the dishes in the first place, which, from person to person, can be different. For one of my dining companions, the charm of Mongolian lamb was “shoveling it in”. 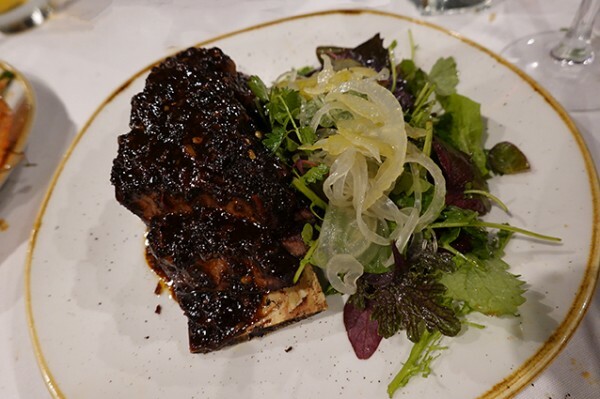 It's a crude way of describing the pleasurable mouthfeel of tenderised lamb – even if it did come about through the use of bicarbonate soda marination to disguise low quality meat. 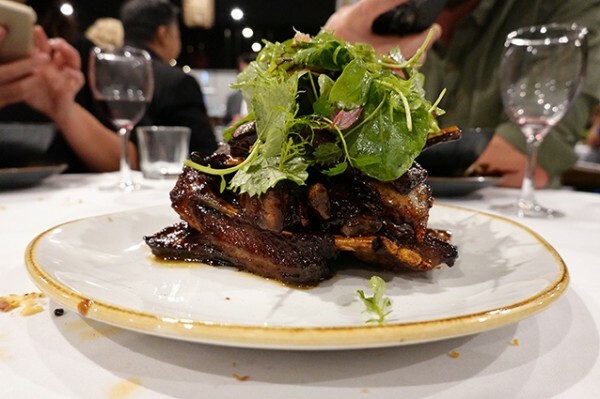 Missing this texture is why Canton Kitchen's updated Mongolian Lamb Ribs ($32) with herb salad didn’t work for me – along with the fact they were way too fatty. Beef in black bean on the other hand wasn’t as treasured in my memories, so I’m more enamoured with the Black Angus Wagyu Beef Tri Tip ($32) that has been slow cooked and treated with mushrooms, onion and black bean sauce. 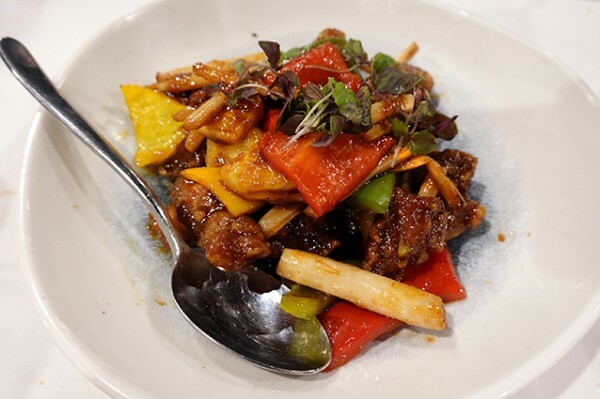 Chan’s Sweet & Sour Pork ($26), made using high quality Kurobuta pig, is definitely better than the over-sweet flavour of my memories. 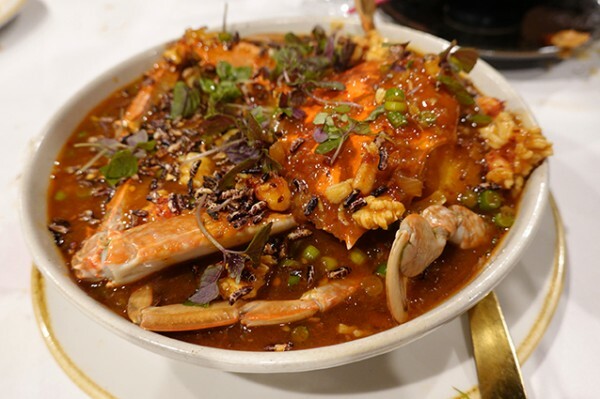 Along with a soupy bowl of Seafood Mapo Tofu ($38), combining crab, prawns and silky tofu, it eats very well with Special Fried Rice ($18). 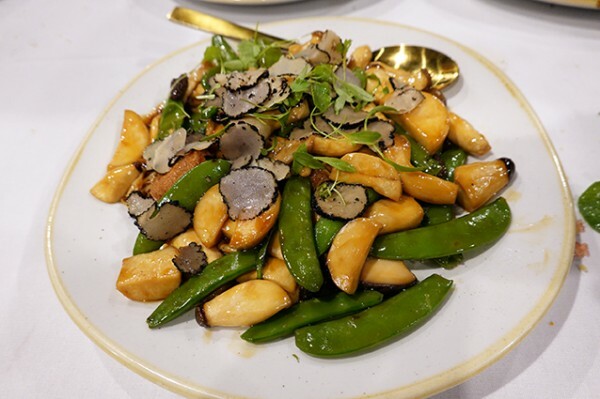 Throw in a plate of Braised Mushrooms ($22) cooked with tofu, basil and snapping fresh snow peas, and you have yourself the makings of a nice dinner for two. 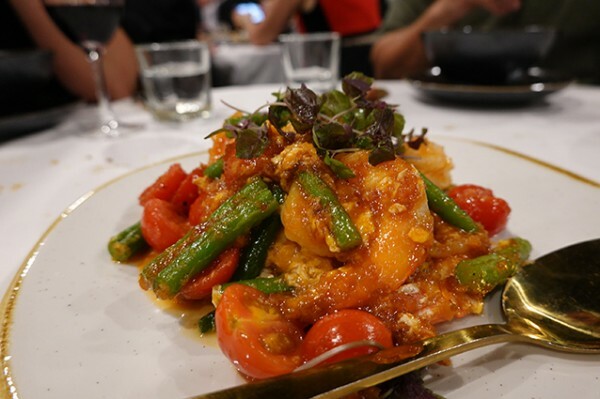 The seafood mapo tofu gravy is much more savoury than seafood stablemate, Singapore Chilli Prawns ($32). While the latter eats better than the version I recently tried at Malay stalwart Temasek, it’s still too sweet for me. 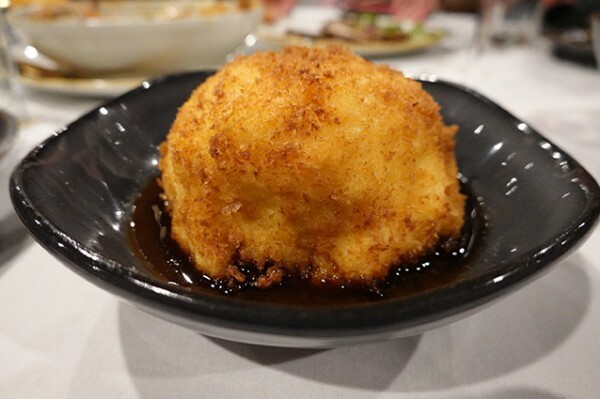 We end our adventure into Chan’s revisions of the classic Chinese dishes Australian diners treasure with Fried Ice Cream ($14). While the interior ice cream in this golden crumbed dome is definitely classier than the original, the ball’s sheer size makes it harder to wrangle. The sweet tooths at our table did give it a good crack. For me, this meal was won in the entrees and in the way it enticed my tastebuds to take a trip down memory lane.